The Consortium of Personalization Professionals (CPP) is a unique group of expert practitioners and thought leaders focused on moving the state of practice forward. 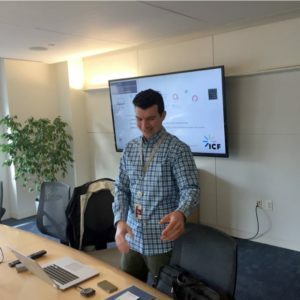 The group met at the ICF Olson International headquarters in Washington, D.C. on April 13, 2018 to discuss the latest developments in the field and to have much needed cross-discussion about creative strategies, profiling methodologies, operational models, ways of evaluating success, and other aspects of evolving practice. Highlights from the meeting follow. The personalization industry is undergoing explosive growth in terms of available tools and techniques that give digital marketers more power than ever to deliver target digital experiences. At the same time, the level of superficiality is bordering on toxic and the industry suffers from a high-level of “noise,” confusion and as-of-yet unfulfilled promises. The gap between these represents unrealized value and signifies areas of opportunity for the industry. In terms of maximum potential value, the group agrees that improved data collection, analysis, management and integration is crucial to forwarding the practice of personalization. This pressure will increase as marketing executives seek to increase sophistication of their personalization activities and justify necessary budgets and resourcing by demonstrating a true return on investment (ROI). The group discussed the gaps that exist between what is possible and what current narratives and platforms promise, to ground the discussion. 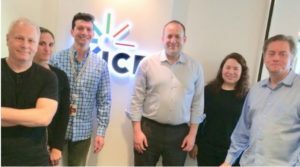 A large part of the meeting focused on a group analysis of evolving trends, and mapping the various trajectories of evolving practice with an eye towards critically appraising the industry’s claims and aspirations. The CPP identified some important trends to watch in 2018 and evaluated each of these trends in the context of current practicality and potential value to forward the state of personalization. As you will see, sometimes current practicality and potential value were wildly at odds. 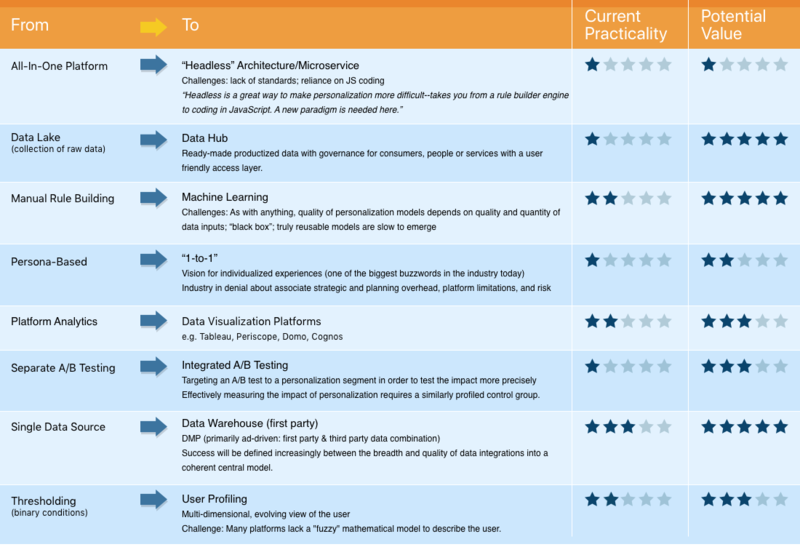 In the analysis provided by the table above, a strong theme emerges in support of the highest potential value: the maturing of data collection underneath an agnostic, well-governed wrapper —that serves the best insights to a wide diversity of consumers. While some of these trends are less practical, the group believes they are converging on this broader vision; an organization’s competitive advantage and business model will increasingly derive from its proprietary data. 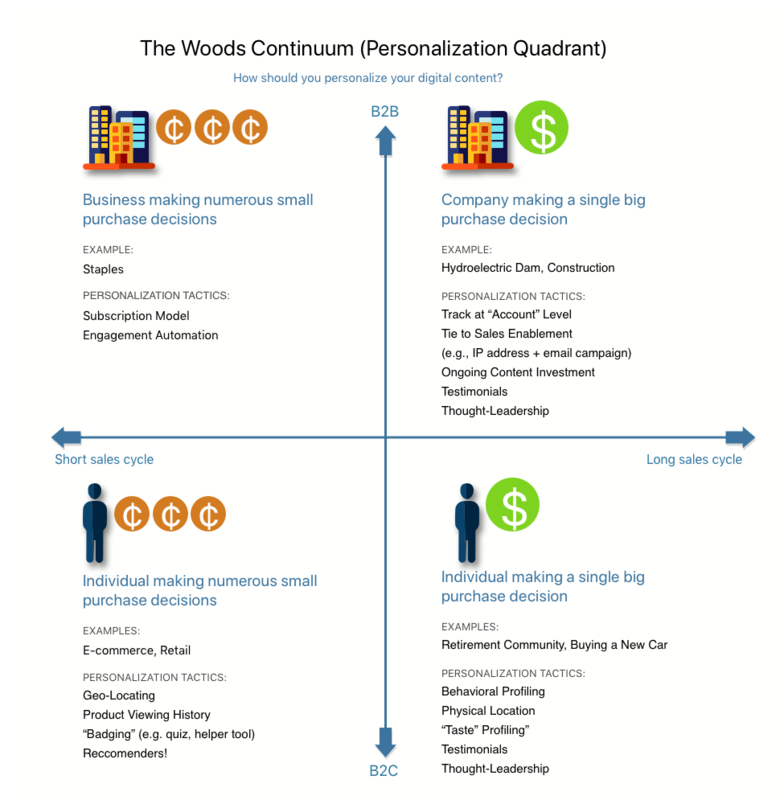 New conceptual models are needed as many organization grapple with which personalization tactics to invest in and employ to meet strategic marketing goals. John Berndt of the Berndt Group (TBG), presented a straightforward and pointed model to help organization understand where to focus their personalization efforts. 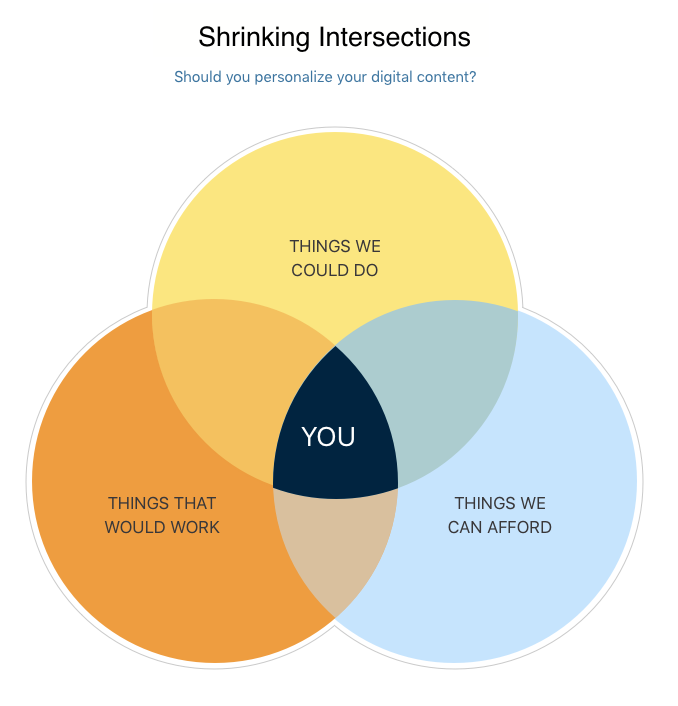 The highly colloquial model considers potential value to the business (what will work), budget (what you can afford), and technical and operational realities (what you can do), and defines the overlap between these three as a more-grounded personalization possibility set to consider when developing a strategic roadmap for personalization. The group discussed the challenges of setting up projects for success and deciding where to direct attentions and resources. One of the challenges of personalization is that is it resource-intensive, but the opportunities may be diffuse in some cases, and only realize value with a critical mass of personalization programs. The group discussed the best techniques for finding high-value business cases and successful executing on them. Amanda Shiga and Randy Woods of Valtech led a rich discussion on the importance of establishing KPIs and metrics with which to measure your personalization program – and how many platforms and calculations still rely on correlation due to the “fuzziness” by which attribution modelling continues to be challenged. Measuring personalization is tough. Digital platforms are making advances in out-of-the-box reports that correlate post-personalization behavior with impact – but that’s still not as crisp as an A|B test measured directly on a call-to-action. Isolation of personalization tactics to a page, site section and/or time period, to better correlate experiment to impact. For example, running a single personalization rule on a homepage for two weeks, and measuring bounce rate and time on site before and after. Using platform-specific measurement reports that do the heavy lifting on broader calculations. For example, Sitecore reports on the “trailing value per visit” as a measurement of whether a visitor completed more valuable actions after viewing targeted content. Using historical behavioral data to build a predictive model that reveals variables that most strongly predict or influence an outcome. For example, a regression model used for classification of a true/false conversion value might reveal that a view of a specific personalization promotion strongly predicted conversion. Randy shared a case study for an ecommerce client, for whom he’d built an ROI model predicting significant revenue increases based on reduced bounce rates, testing and personalization. The model was informed by industry-standard statistics on general lift rates for varying tactics. The group agreed this was an important subtopic tying back to securing C-level buy-in for personalization programs. 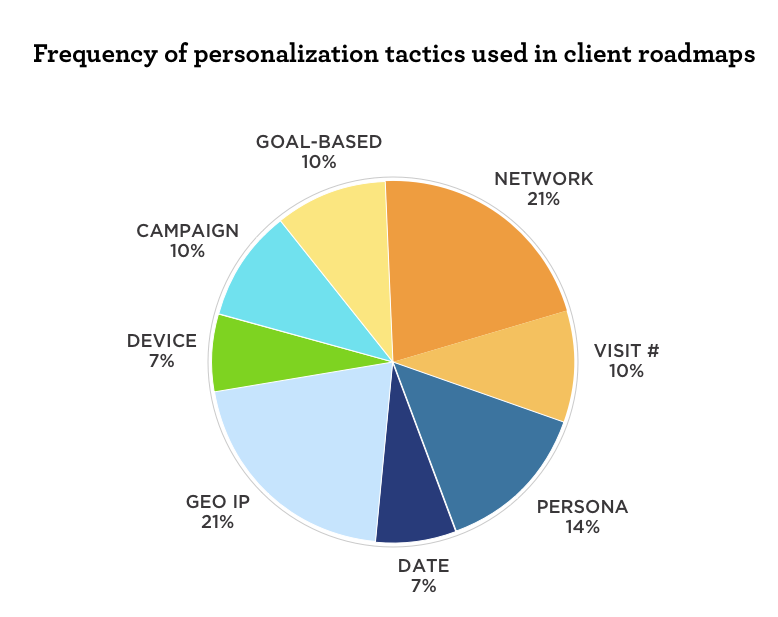 Finally, Amanda also shared an aggregation of all the personalization tactics her practice had designed as part of client optimization roadmaps over the last three years. The resulting distribution was somewhat even and reflective of the clients’ platforms and verticals; but demonstrated again the “quick wins” that can show impact in a short timeframe and can secure the beachhead that many marketing teams need to do more. The group agreed that it would be highly valuable to build a growing dataset of tactics and their reported effectiveness, across all our clients, so we could eventually summarize our collective results. What is next for the CPP? The CPP will convene next in the October 2018 in Baltimore, MD, where we will discuss the top-used personalization tactics in the industry today and their associated metrics and overall impact on business’ bottom lines and collaborate on a glossary of personalization terminology. The CPP is an invitation only group, but welcomes cross-discussion with other personalization professionals. Visit http://personalizationprofessionals.org/ for more details. Above: CPP April 2018 Participants (left to right) Randy Woods, Mara Low, Colin Eagan, Jeff Macintyre, Amanda Shiga, John Berndt.